Happy New Year! With a new year, often comes a re-energized sense of determination to make THIS year the best yet! 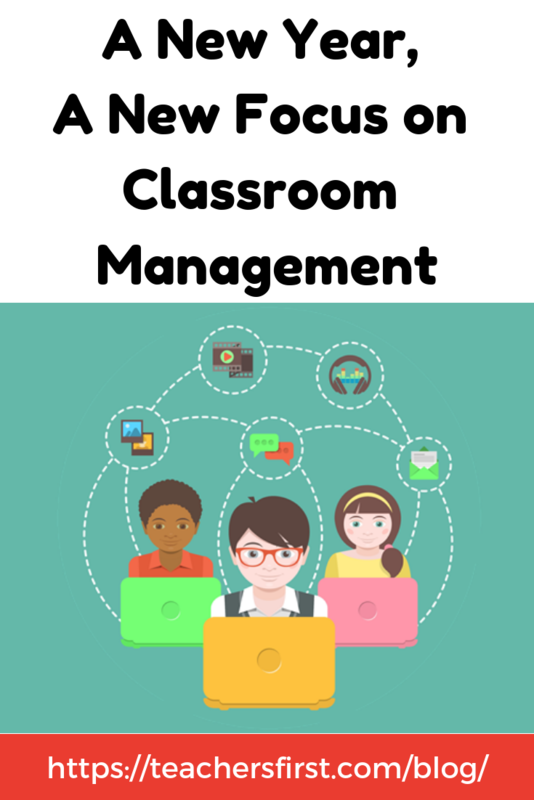 With New Year’s resolutions abundant, I thought it would be an appropriate time to broach the topic of classroom management—I mean who doesn’t want to improve strategies in this area? The more controlled, inviting, and positive our classroom environment, the more effective our teaching practices. Happy teacher, happy classroom life! As my time as an administrator, I was in and out of classrooms constantly (side note- this was ALWAYS the best part of my days!). What I saw was very different in each class I visited. What worked for teacher A in her class, would never work for teacher B, and vice versa. I observed teachers in complete control with a quiet and understated presence, versus the boisterous performer who captivated the attention so well of her students. Both were effective in their own ways. So, that’s where the difficulty lies. 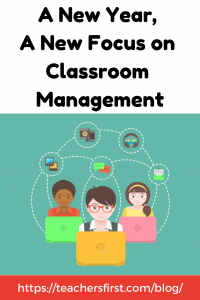 Establishing a classroom management system that works for you. Effective student engagement can oftentimes be the best type of classroom management. Proximity and images can be powerful non-verbal cues to manage student behavior. Teacher reflection is a key component to successful classroom management. Check out the archive of our chat HERE and review Q1 (question 1) and A1 (answer 1) from our participants. They shared some great ideas! Broaden your professional development horizons: observe other teachers in your building, join a Twitter chat, read articles. In turn, you will continue to grow and revise your classroom management skills as the needs of our students evolve. As always, I would love to hear from you! What classroom management strategies do you utilize or have you seen that we could all benefit from?! Leave a comment below or better yet, tweet us at @SFLOK2Ask and include our hashtag #OK2Ask. Previous Previous post: Teaching Geography in the Classroom – Maps, Maps, and More Maps! Next Next post: Digital Equity – What you need to know.